December 7 , by Stacie Hooder. 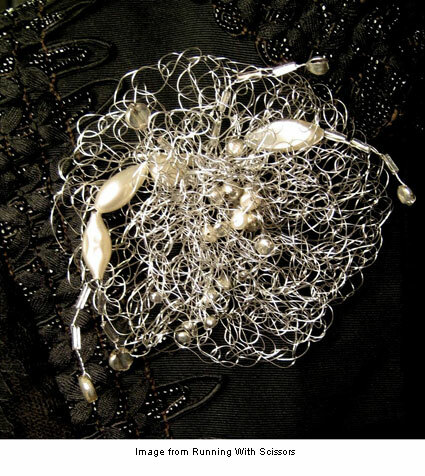 Terisa at Running with Scissors created this wire piece with crochet! Isn’t it clever and sparkly? It reminds me of frost on a moonlit night. Take a look at her tutorial to make one of your own.